Eugene Williams was a wonderful dancer, steadfast disability rights advocate, enthusiastic friend and exceptional human who suddenly passed away in March 2017. He wrote this poem after visiting Zuni, Hopi and Navajo lands. 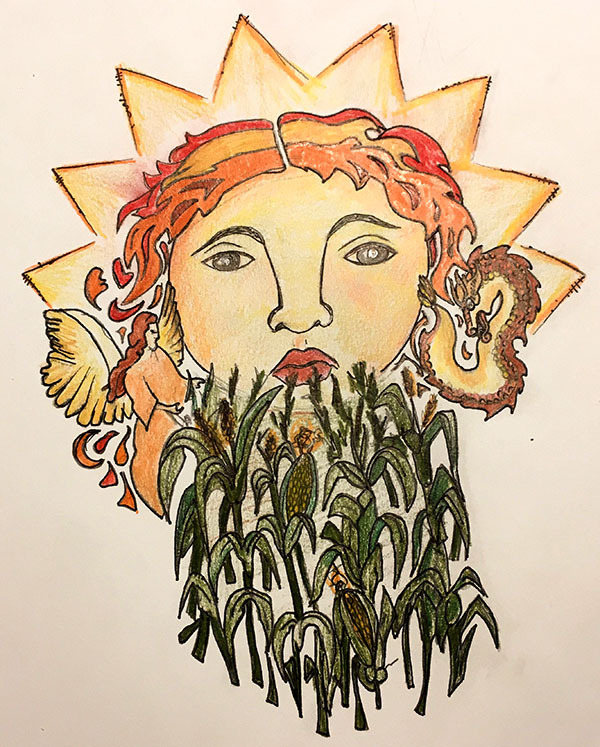 He described seeing the Corn Maiden: “Her face was the full moon atop the tassels of eight-foot high corn stalks.” This interview was conducted with him shortly before his untimely death. He is much missed. Camille Taft is an 18-year-old dancer living in Longmont, CO, who has trained throughout her life in primarily ballet and modern dance. With both her parents as visual artists, she has always appreciated the excitement that comes from a collaboration of mixed media, and was thus overjoyed to have the opportunity to work with Stance on Dance.